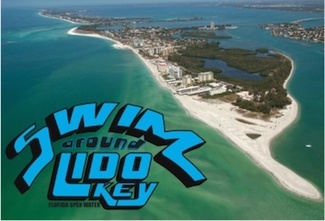 The Swim Around Lido Key open water race is going to be held on Saturday, April 27, 2019. This is a 7-mile swim around the island of Lido Key. We're looking for volunteers to help support this race. Each volunteer receives a free race T-shirt and post race food. The race is Saturday from 7AM to around 4PM with volunteers needed in the morning to get the race started and then in the afternoon for the post race events and cleanup. Please see the list of volunteer positions needed and thanks for signing up! Please contact David Miner at [email protected] or Steve Butler at [email protected] if you have any questions. Thank you for your help and support in this race! We very much appreciate it! Come to the Daiquiri Deck pre-race party and help to check-in race participants and pilots. Provide support by being available to do and get things as needed, like go to a place on Lido and retrieve a swimmer who has pulled out of the race, etc.